A couple of years ago, I wrote of finding an old English bus ticket from 1942, in an old book. If you didn’t read the post, you’ll have to take my word for it because, despite my impressive filing system, I can’t seem to find it. Like father – like daughter. Recently, LadyRyl picked up an old hard-cover book at a Thrift Store. As she was reading it, out popped an old post card. Anybody remember them?? Isn’t this darling? And isn’t that pile of concrete impressive? It has all the architectural magnificence of a Russian tenement. What a building! You just know that important stuff happens in there every day. 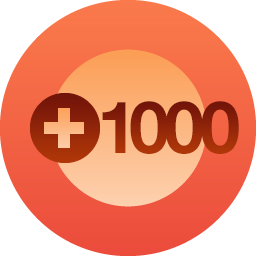 Stuff like….merchandise marting. Kind of like the Pentagon of its day. Here’s the back, where the more interesting, human-interest stuff shows up. It was mailed on Jan. 9, 1946, from Chicago. Who wants to be in Hell-frozen-over Chicago in January? Sent home to Grand Rapids, Michigan – a 185 mile, 3-hour drive these days, but probably most of a day, back before Interstates. It was sent to ‘Bobby’, but the phrase “be a good girl” says that she was Barbara Jane. It cost a whole penny for the stamp to mail it. Back before ZIP-codes were even a gleam in a bureaucrat’s eye, it was addressed to Ward (8) in Grand Rapids. The aunt and uncle senders were Val & Al – too cute for words. I don’t think Big Al had much to do with this piece of mail. Aunty says she tried to call Bobby’s father, “but the line was busy.” The entire family seems well enough off to afford a trip to Chicago, and a telephone when most folks didn’t have them. I’m amazed that the phone was busy. Without Facebook, YouTube and Instagram, what could they have had to yak about? It’s not quite as old as my bus ticket, but it’s further before her birth, than mine was for me. Like me, Ryl is guarding and preserving this piece of historical ephemera. It speaks quietly from the past, of a society and lifestyle, a little more gracious and courteous, and far less crowded and frenetic than the ‘modern’ one we endure today. No, no, you nosy deviants! That happened when I was 17. What I’m talking about is knives – and magazines about knives. While never needing or wanting to actually use them, I’ve always had a fascination for all types of weapons – how they’re built, how they’re used. Early in 1991 I’d been noticing a particular magazine among others on the sales rack, Knives Illustrated. Finally, in the summer, it was my first time to purchase a copy. 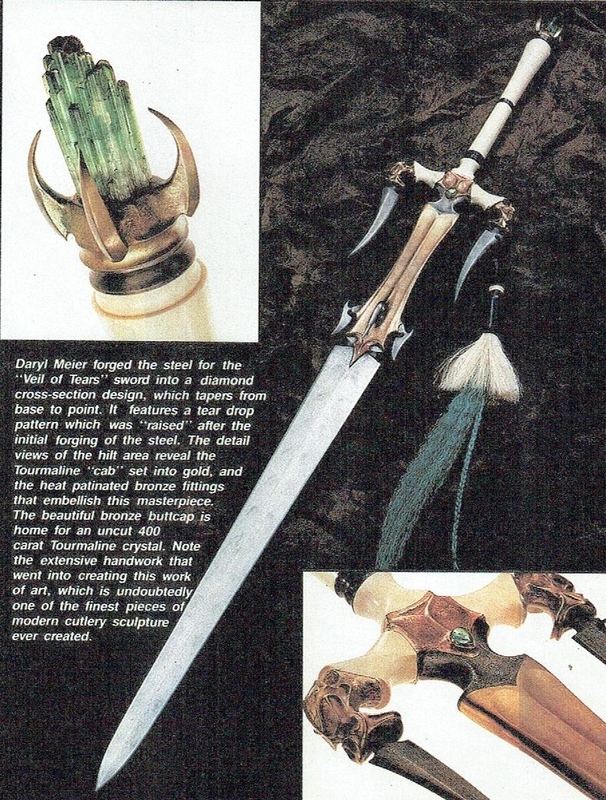 It carried a story about a $20,000 sword, inlaid with gold, and adorned with jewels. I had discovered Art Knives. I was hooked! Soon, I was sending away money to ensure a year’s worth of these printed treasures. This was my first time that I’d ever subscribed to a magazine. 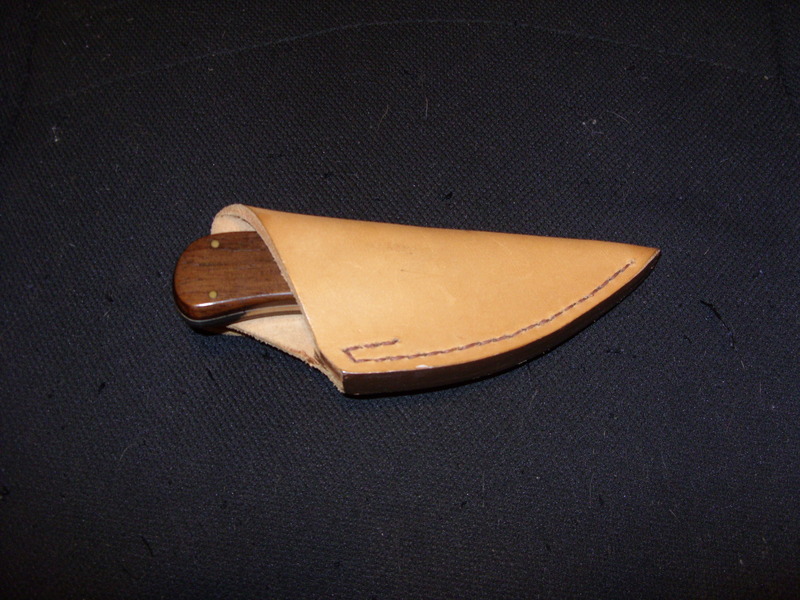 For the first several years, they had a contest where you could send in a postcard to be put into a draw to win a hand-made, donated knife, from a maker looking for some cheap promotion. Every issue, I faithfully sent in a card, even if the featured knife was not to my taste or use. Suddenly, in my third year of trying, back before the Internet, I received a real letter. 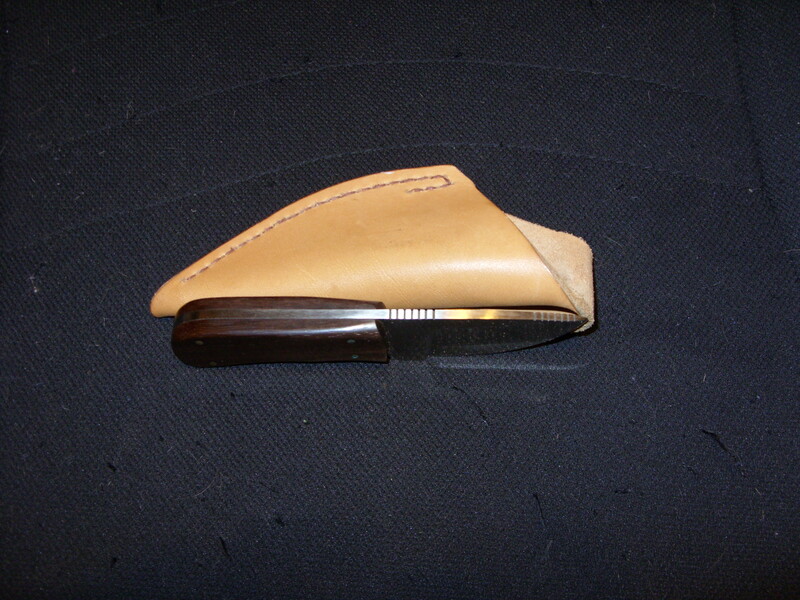 I had been chosen to receive a little three-finger skinning knife, made by a cutler in Orlando. All I had to do was send a letter to the magazine, lauding them and proving the contest was real, and a letter of thanks to the maker. Done and quickly done. Soon a package arrived, and it was my first time to own a handmade knife. The letter from the magazine said that it was worth $35, a ridiculous claim. 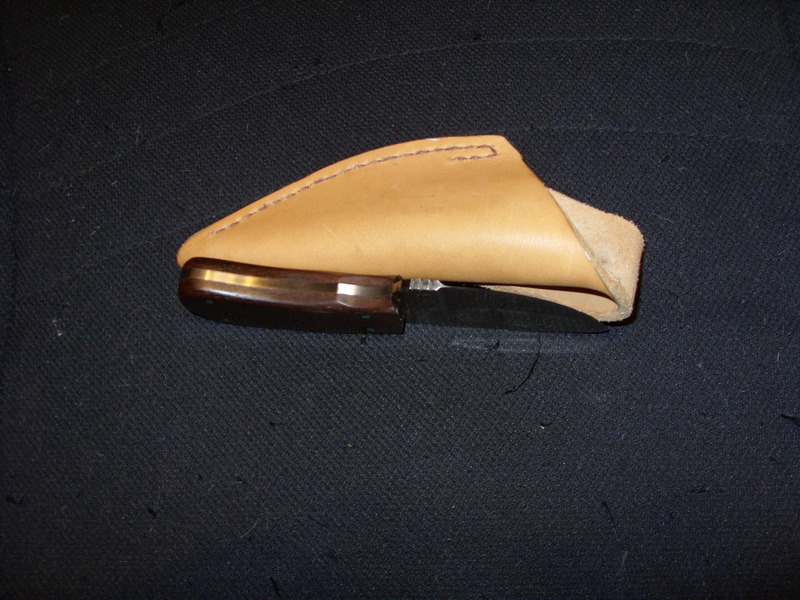 The handmade leather sheath alone is worth that much. Somebody slipped a zero; the package is worth $350. 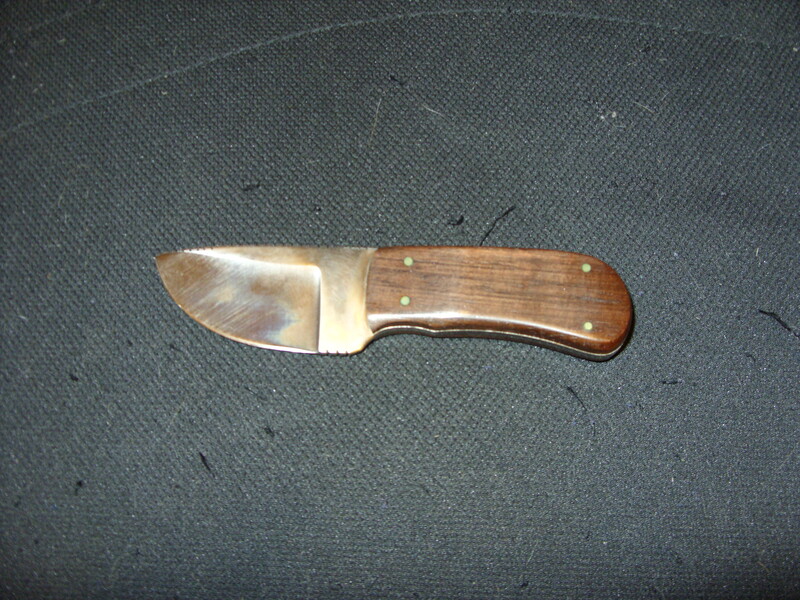 Note the grooves milled into the top and bottom, to control the blade, and prevent slipping. I told the maker that, if I ever got near Orlando, I’d stop in and personally thank him – and forgot about it. A couple of years later, my brother had bought a trailer in a park in central Florida, and needed to go down to get it opened up and ready to rent for the winter season. Would I like to accompany him on a whirlwind, 9-day trip. Oh boy, my first time going to Florida! The brother’s trailer park was close to Orlando. I tried to call the maker, but later found that the phone was in his wife’s name. After about 4 days, when the brother could spare both me and the van at the same time, I drove over to his address, fuelled by hope. I was fortunate. He was at home, and gave me a couple of hours of his morning. I got to see his neighbor’s lovingly restored 1963 Chevrolet Corvair Monza; he gave me a tour of his workshop, showing me all his tools, and different styles of knives he built. While the Internet might have existed, this was before I even had dial-up connection, much less high-speed. I couldn’t just research him. Since he couldn’t research Ontario, he didn’t know that most residential, and all farming is below the Great Lakes, with mining to the north. He had a map with pins stuck in it, of all the people who’d received one of his knives. He had my pin in the muskeg, somewhere off Hudson Bay. I moved it. His wife was some kind of medium-sized wheel at the University. Several years later, she accepted a more prestigious position at the University of Connecticut, and he quietly loaded all his tools and moved north. His production may have gone down a bit, because of the need to shovel snow. This knife is well designed and built, though there’s not much of it. 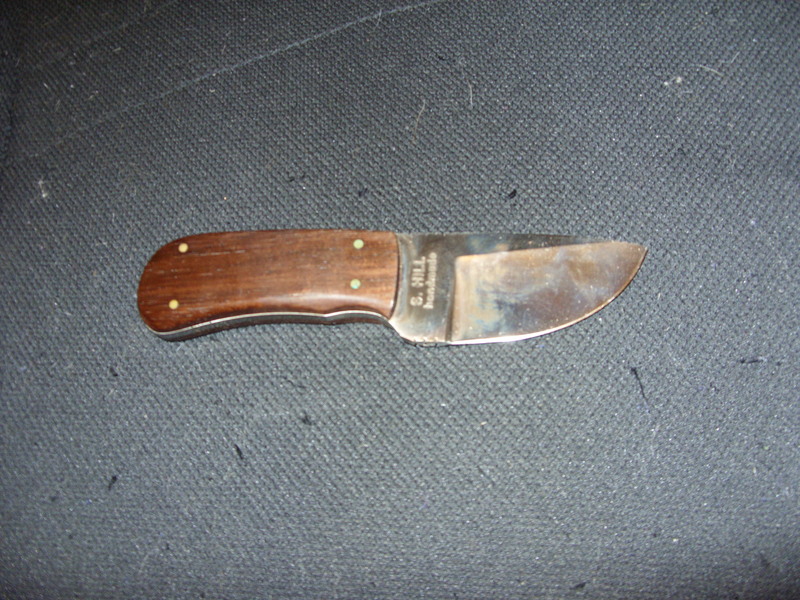 I’m not a hunter/skinner, so I have no actual use for it. It languishes away in a drawer, with several other of my acquisitions. I keep it because it was a first, accompanying several other firsts. Perhaps one day my heirs can get a little money for it.